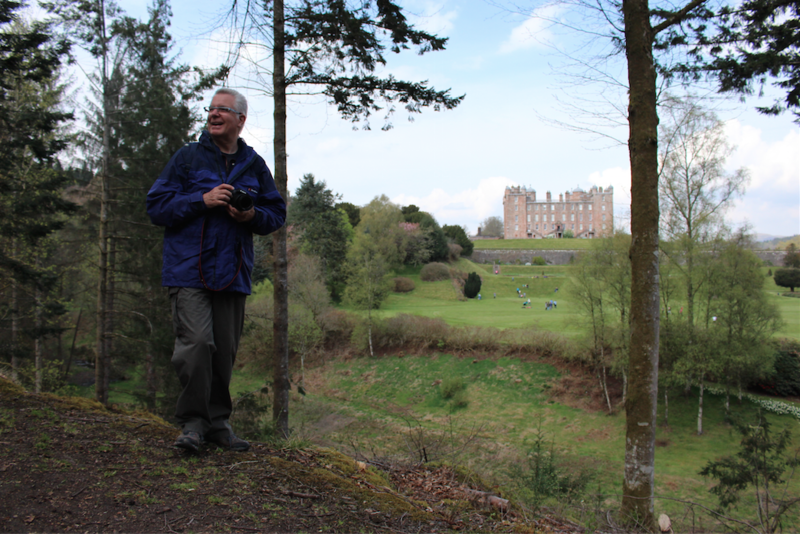 Professor David Munro led our quest on a beautiful Sunday at Drumlanrig Castle, where we explored the extensive grounds. 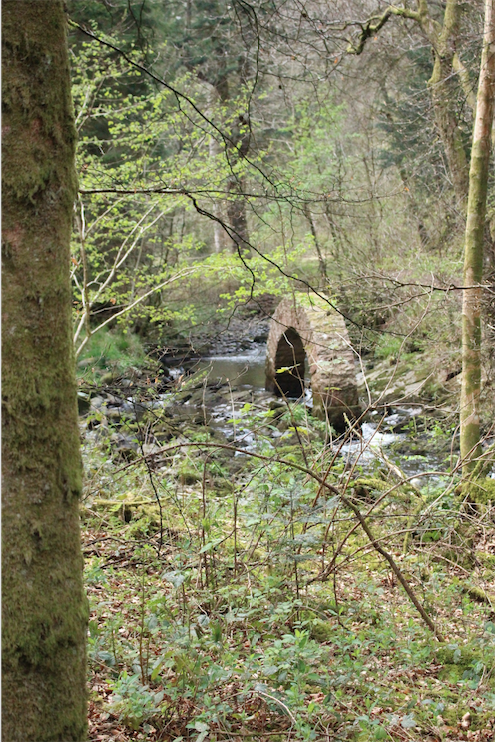 Our walk followed the water systems, both natural and constructed, that make up the lifeblood of the estate, following paths that have changed over time and those that have remained constant. 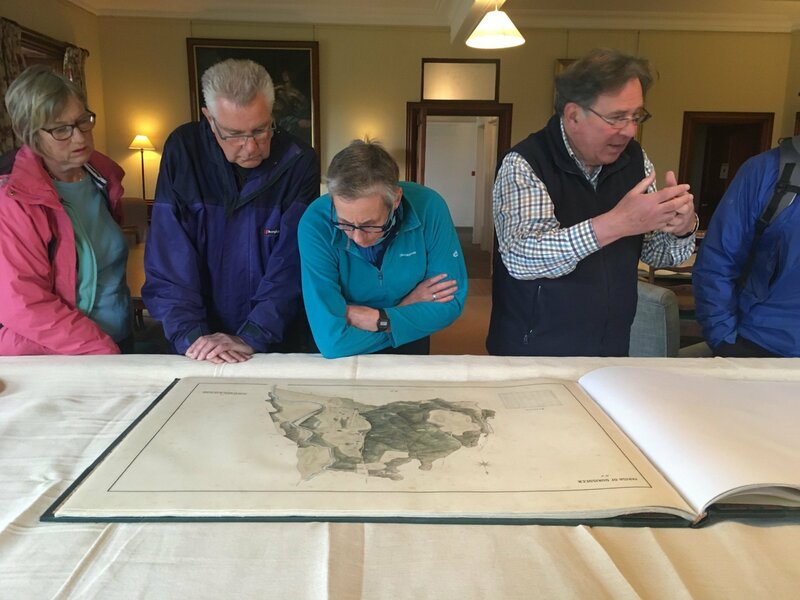 As the geographer in residence for the Duke of Buccleuch, Professor Munro brought us inside the castle to see some of the maps in the archives there to start. The oldest was dated from the early 18th century and was a beautifully drawn plan used to design the gardens for the newly-built estate. 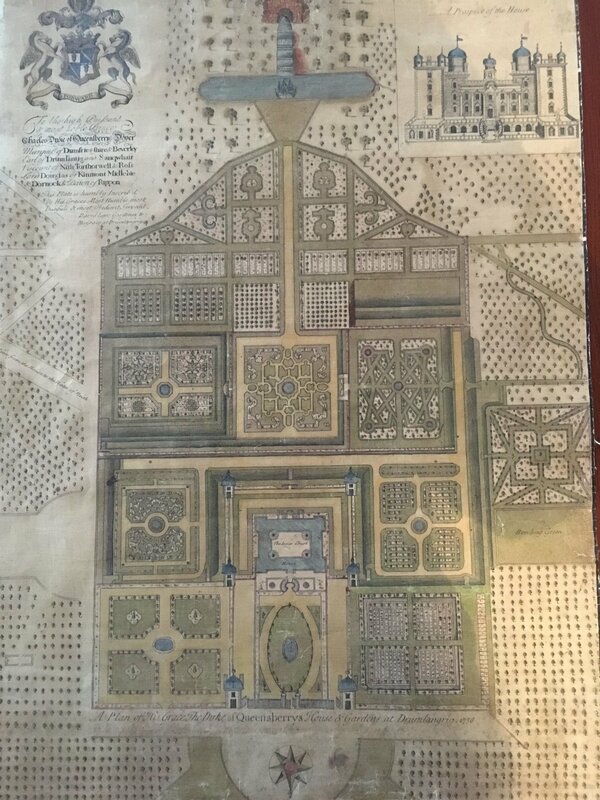 These plans showed an intricate garden for several hundred gardeners to tend, based on square sections that surround fountains for easy watering. The view from the rear of the house draws the eye with a straight path leading to the cascade. There are newer maps that show the planning of the extended grounds. It is setup to create vistas at the end of long straight paths cut through the forest. From these maps, the grounds look like a web of walking paths, at odds with the winding waterways that refuse to be confined to such simple linear routes. Although much of the water supply for the castle is based in these free flowing rivers and streams, simple modifications like dams are not always sufficient, so extensive amounts of piping and cisterns were built to allow for the water flow envisioned by the human design. The maps that we were able to see from the massive collection showed the requirements of these significant features of a managed landscape throughout time in beautiful hand drawn detail. With this vision in our head, we set out to explore it for ourselves, taking in several subtle details in the architecture, like the flying heart motif, the angle of the railing columns, and an old ice house that has become so grown over it would look like a hill that was part of the landscaping near the house if we were not told what it really was. 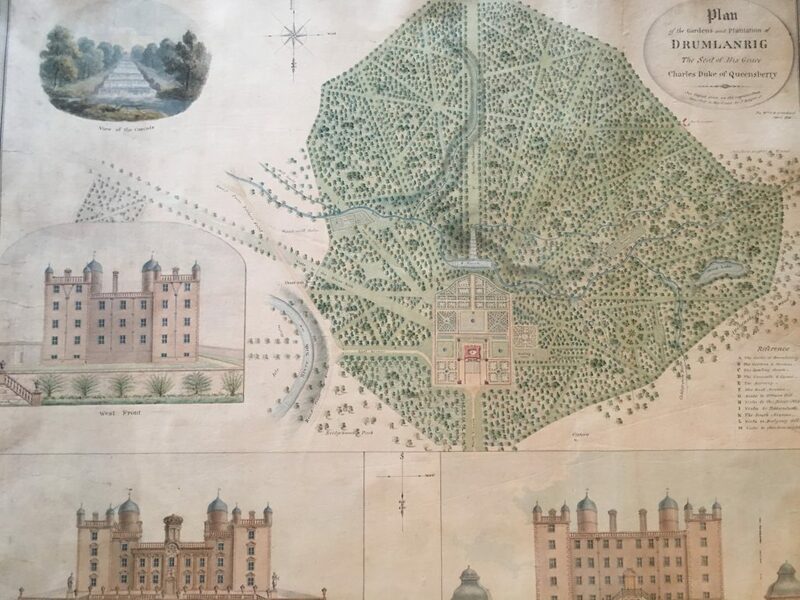 There are only four gardeners now, so the gardens are certainly not as extensive as the original plans show them to be, but the general shape of the gardens have been retained in order to remain to true to the original vision and its first incarnation. Sometimes these shapes are merely implied with some creative grass cutting, leaving this open space available for the modern day play of children visitors. Much of the water in the design has been removed. The fountains have been replaced by statues, since their practical function can be met with modern conveniences like hoses. The cascade is now left dry. As we wander further from the gardens and out into the trees of the wider grounds, the precise lines give way to paths that follow the curves the land more closely. Over time, the webs of straight-lined paths that cut bluntly and harshly through the tree line have softened as the ownership of the castle changed hands. Each one had a different vision of the perfect estate, based on their personalities, their preferences, and the changes in fashion over time. If I had walked about without having seen those maps, I might have assumed that these paths had always been there, gradually ingrained by passage through the trees over time until they were eventually widened and adapted for common use. Instead we saw the culmination of land management and how easily the green world can swallow up abandoned infrastructure so that it disappears, sometimes without a trace. 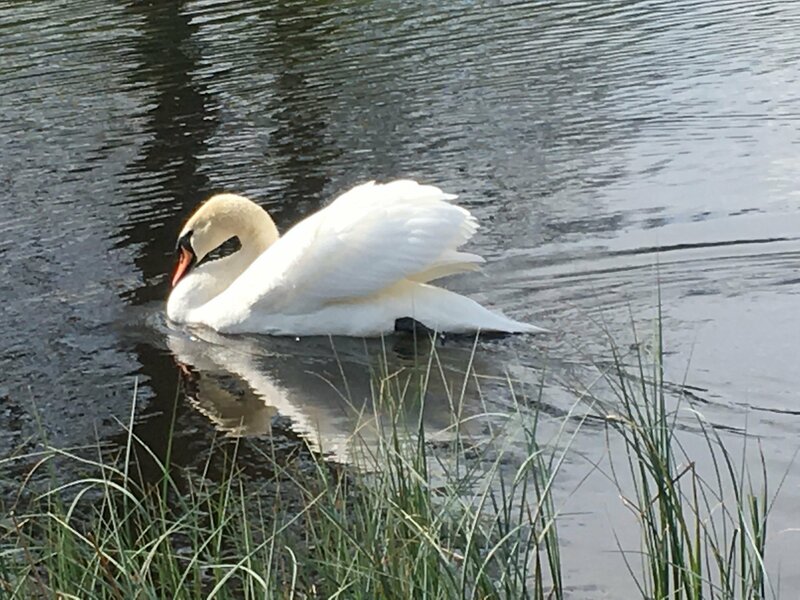 Our walk followed the water. We walked into the trees on a path directly over the piping that used to bring water from one of the many rather unusually housed cisterns to the castle. We walked by ponds made for water use and now commonly used for fishing; by rivers flowing free and rivers with dams; over bridges whose names have been changed through errors in record keeping; by the “Leaping Arch” artwork of Andy Goldsworthy near the abandoned hydroelectric power station; by the natural well hidden off the path; by the still usable water access for the farmers’ livestock; and over the now dry cascade. Each pause is a place that could have easily been missed on a casual walk without such a knowledgeable guide. 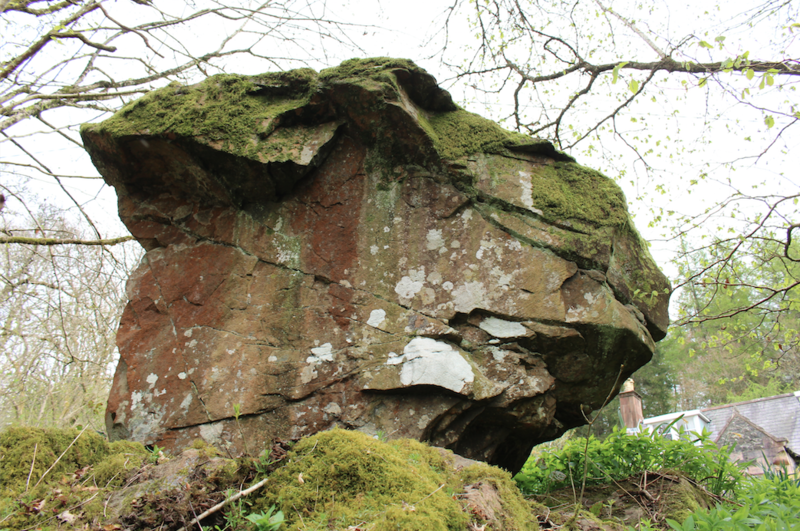 For example, the Bellstane, an erratic stone transported by a glacier and shaped like an upright bell, that could be easily passed by if Professor Munro had not stopped us. It requires viewing from the other side of the path to appreciate it fully. Its human connection may be unknown apart from the story of a group of boys playing too rough and breaking the curve it balanced upon, but that does not stop us from wondering whether it had more significant meaning to the people of the past or whether it was assigned meaning more recently when the area around it received druid names because that was the fashion of the time. 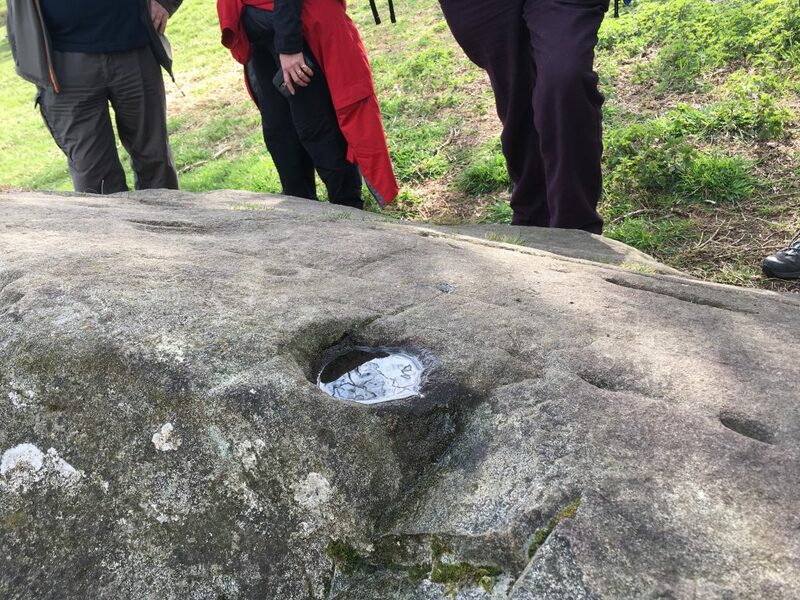 Although this stone is visible from the path now if we are looking for it, later in the season the plant life between it and the road can completely block it from view to be easily missed, just like the well. It is a small perfectly round spring of unknown origins known as the Duchess well. Set back from the path, it could be overlooked by the casual walker who did not know it was there. Its water is sweet and refreshing. These small features are gifts to the fertile imagination. One of the most beautiful things about the walk is how the result of centuries of land management has resulted in a space that is so different and so connected. 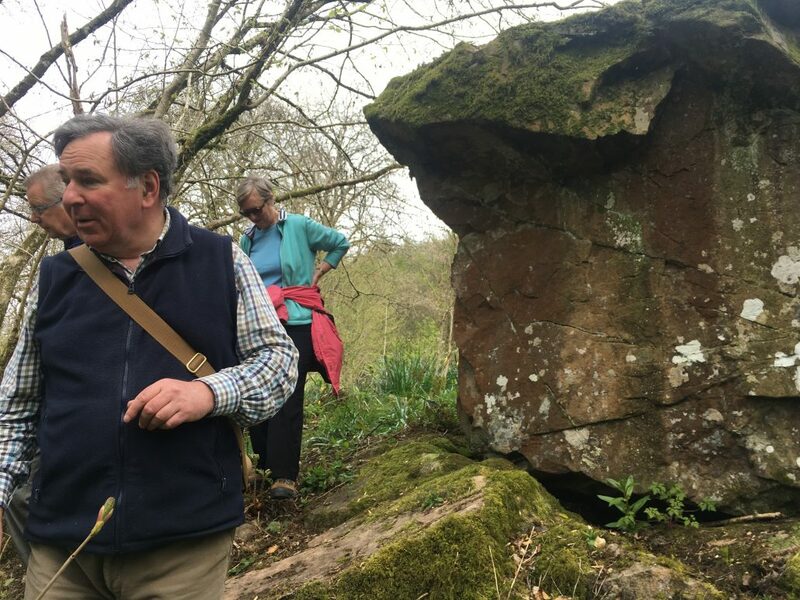 We can walk through a space that is fully enclosed in trees just to emerge at a pond or at a massive pasture with a ruined stone building used by some farmers’ predecessor. So, anything becomes possible to imagine, like the remains of a Roman fort on a hill that is now covered in sheep and this years lambs. Our final stop is a recent discovery. 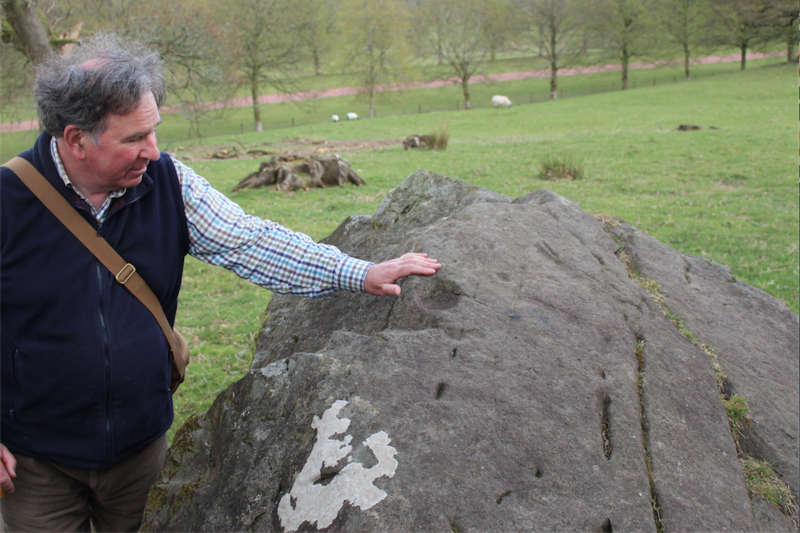 There is a large stone that may have cup mark engravings from the bronze age in one of these sheep pastures. 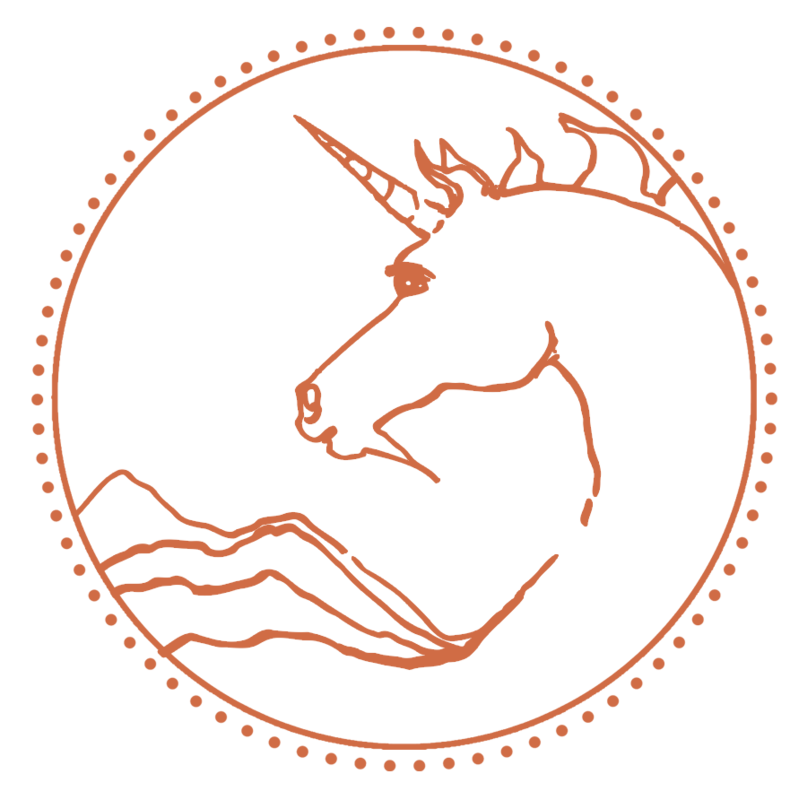 It had remained unnoticed for centuries, or found and forgotten again. The meaning of these engravings that must have required so much time and effort to create has been lost, and is left to our imaginations and musings for now at least. We let water flow from the cup down an unexpected path to the ground as we try to see if it could be lined up to a direction or constellation. 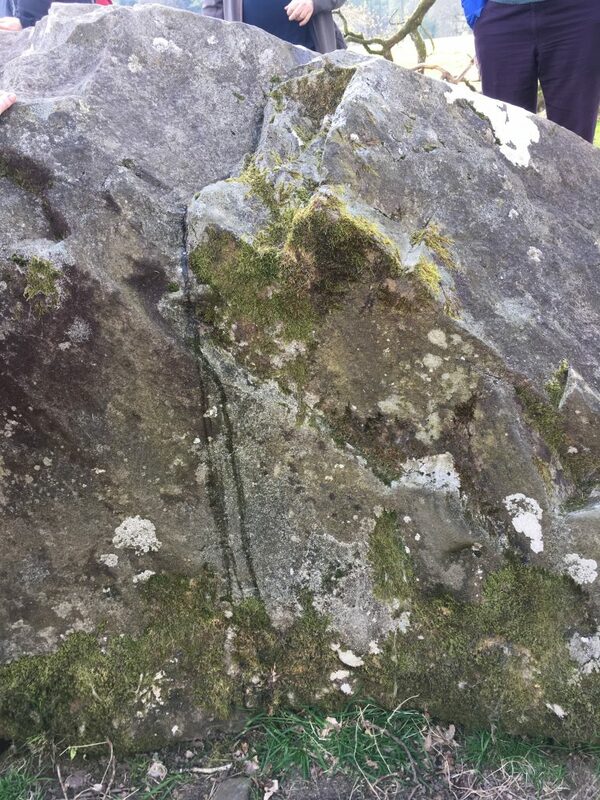 Could the broken off section of the stone have occurred before its creation or was it originally a more extensive design that was lost when that portion of the rock broke away? Are the eroded parallel stripes a natural result of scraping from glacial retreat, or could the incomplete segments indicate a more deliberate creation? Perhaps one day these questions will all be answered, but either way we are left with an energy of thoughtful excitement from our trek even if our feet may be a bit sore. 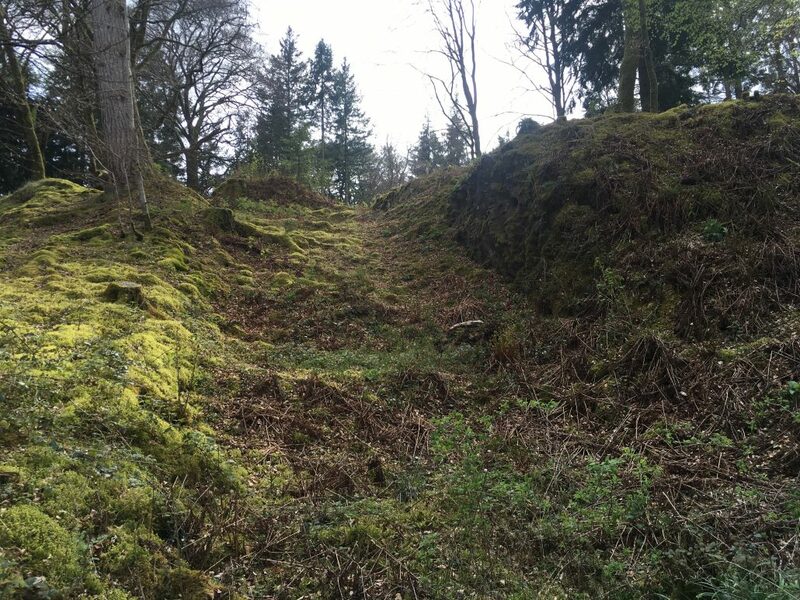 Looking at the forest that is next to the walled pastureland, it is easy to imagine a landscape that has emerged and grown naturally. Yet these places are can still be the product of human impact and management over decades or centuries. We often see human management as an intrusion on a separate, natural world, forgetting how much each species interacts to create the world around them as it will be in the future. 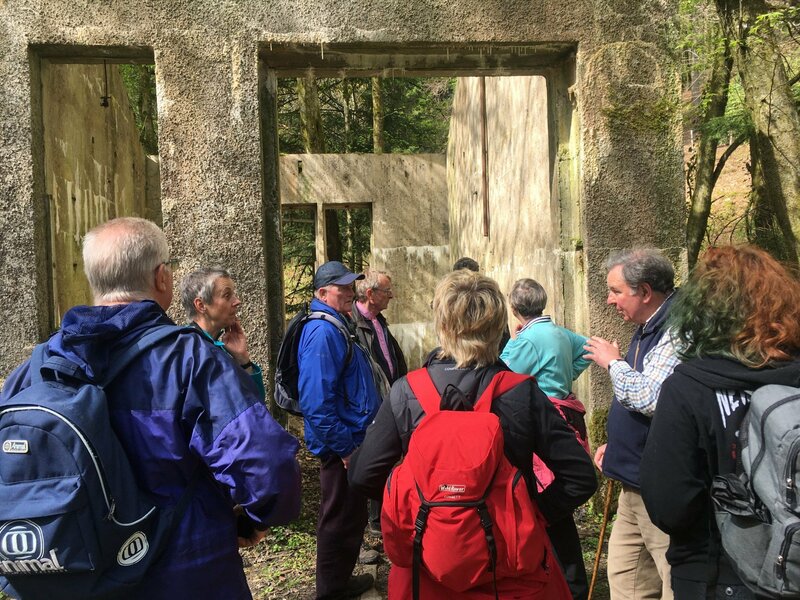 Together on this walk we had a glimpse of a world where human management is just another force of evolution that has brought about today’s landscape through time.